Around 1870 men from all over arrived in the Omineca region with their pickaxes, shovels and gold pans. Their enthusiasm had been fuelled by recent gold discoveries in places like Barkerville. It is not known exactly when prospecting began in the Houston area. 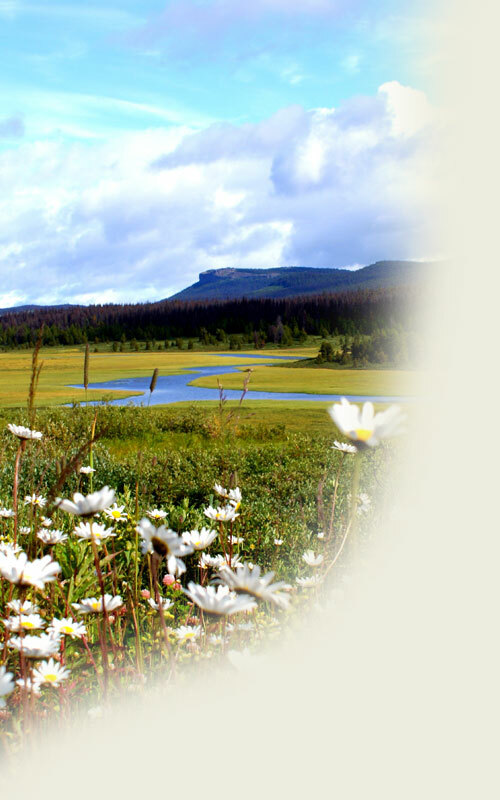 One suspects that when the white man entered the Bulkley Valley to lay the Overland Telegraph Trail around 1866, they must have poked around a bit and checked for evidence of gold in the creeks. Gold fever, after all, was in the air at that time. One of the early prospectors in this area was Bull James. Although local folklore has it that there were Chinese prospectors in the Houston area around 1860, the B.C. Ministry of Mines has no specific records of early placer activity by Chinese prospectors. Nor does Father A.G. Morice, the priest whose early maps and records first detailed much of this area, mention anything about Chinese prospectors in his History of Northern B.C. first published in 1904. Rather, Father Morice indicates that gold was first discovered by the Wit'suwit'en, who began to look for it more actively when they discovered that the Hudson's Bay Company, which had established a post in Fort St. James in 1805, was willing to pay them for it. However, tales exist about the discovery of decayed shovels and remnants of Chinese tools that would attest to their early presence in the Houston area. Rumour has it there's gold in a mountain east of Houston, the location of which only "China Knows", which was the name given to the mountain, although most people now spell it China "Nose". What is known is this: a wave of Chinese immigrants had entered the U.S. to escape the Taipeng Rebellion, a terrible civil war that lasted from 1850 to 1865. Many of these immigrants got caught up in the California Gold Rush of the 1850s and drifted north during the Cariboo Gold Rush ten years later. 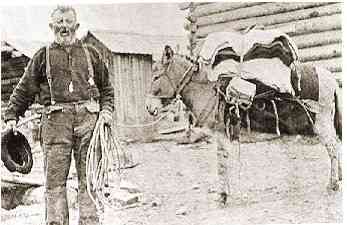 Chinese prospectors were said to have worked in the Owen Lake area around 1880. When they arrived in Houston is not clear, but there is hard evidence that there were Chinese miners in Houston around 1912-14, working with prospectors like E.G. Bellicini and Kid Price. One of the earliest reports of mining activity here was in 1910, when the Wilson brothers discovered deposits six miles north of Houston on the east flank of what we now call Wilson Lake, accessed from the Summit Lake Road. Two shafts were sunk there in 1918 by Tonapah Mining Company. The area was said to be rich in silver, copper, lead, zinc and gold. In 1967 four trenches were dug. Over the years more than 100 claims have been staked at Wilson Lake. Other early mining claims were staked around 1912 at Owen Lake, Grouse Mountain, and especially the Sibola region. E.G. Bellicini, grandfather of Houston residents Dan, Bill, and Keith Merkley, left Italy in 1904 and arrived in New York with 57 cents in his pocket. There he met a large black miner by the name of John Brown, who talked Bellicini into travelling across the country in search of gold at a place called "Sibola". 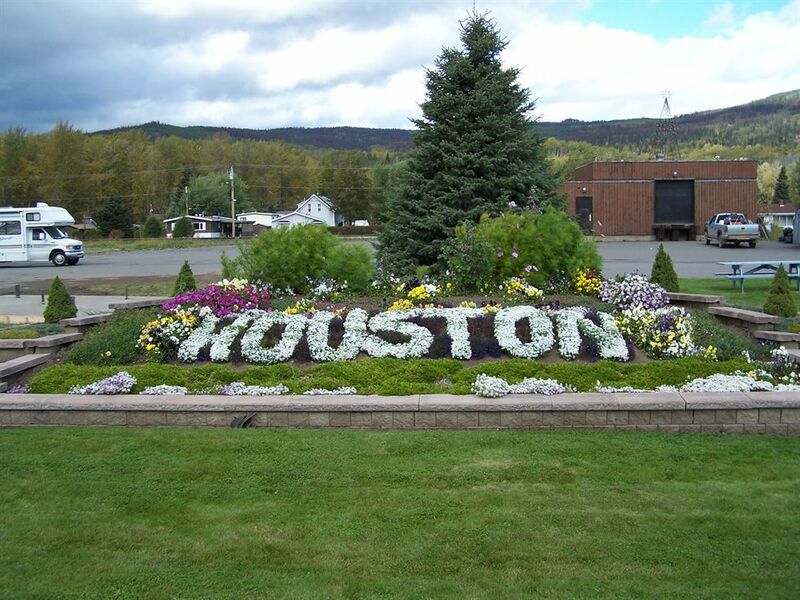 It took years, during which Bellicini travelled first to Alaska, and during which his partner John Brown died, but he eventually entered the Houston area. Here he met prospectors like Kid Price and Bill Sweeney. With them, he finally reached the Sibolas around 1913. A small gold rush took place there around 1914, which resulted in many claims staked, many of which remain to this day. There is no doubt that there are many mineral deposits in this general area. But there are three main reasons why mining in the Houston area did not develop as a viable industry until about 1980, when Equity Silver mine was built. At that, Equity was in production only until 1994. Currently, Huckleberry Copper is in production in the Sibola area southwest of Houston. First, there was a lack of transportation and easy access to properties. It was thought that the completion of the railway in 1914 would open up links to outside markets, but there still was the problem of how to get the ore out of the back country. In 1926, George Seel of Wisteria was so impressed with a claim he had staked on Swing Peak south of the Tahtsa that he is said to have carried a ton of ore out on his back, and ferried it down the Tahtsa River to the post office on Ootsa Lake. He had it shipped to the smelter at Trail, where it produced 34 ounces of silver, 262 pounds of lead, and 25 pounds of zinc. But the property, while holding excellent commercial potential, was, and remains, too far from road or railway to make it profitable. 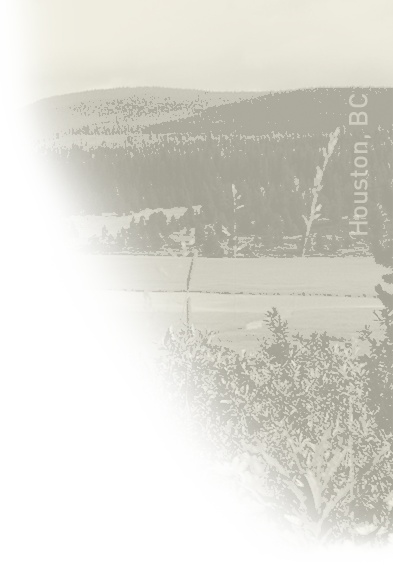 Second, the two great wars and the Depression of the 1930s were outside influences that affected even northern B.C. A third reason for the slow development of mining here was that markets were uncertain, and the ore discoveries themselves often proved to not contain the reserves necessary to support major development. Nevertheless, hundreds, maybe thousands, of claims have been staked in the Houston area. There are simply too many to name. Hundreds of dreams lie unfulfilled, sandwiched between layers of porphyritic and sedimentary rock in the back-country. Only time will tell.